Santa Monica, October 28, 2016 — Eisenhower Fellowships and Pardee RAND Graduate School launched a new partnership to deepen the knowledge and skills of visiting Eisenhower Fellows in public policy analysis, development, and implementation. In conjunction with Eisenhower Fellowships’ inaugural Africa Program, EF sent eight Fellows to Pardee RAND’s campus in Santa Monica, California for three days of intensive skill-building, leadership training, and transformative knowledge development, October 24-26, 2016. These Africa Fellows connected with Pardee RAND’s faculty, subject-matter experts, and researchers in the fields of economic development, education, health, and infrastructure planning. This novel immersion curriculum was aimed at building capacity and sharing knowledge between Pardee RAND experts and Eisenhower Fellows to help them shape and implement their fellowship project upon returning home. The courses included Introduction to Policy Analysis, Understanding Implementation, Evaluation, and Accountability/Scaling. Talks included "RAND Labor and Population: Research and Analysis to Improve Social and Economic Well-Being Around the World," presented by Krishna Kumar, and "The Use of Unmanned Aerial Systems for Agriculture in Africa," presented by Shira Efron. This groundbreaking partnership between EF and Pardee RAND was made possible through a generous gift from David Wang, a former member of the Eisenhower Fellowships Board of Trustees, longtime supporter of Pardee RAND, and retired senior executive at International Paper Company. 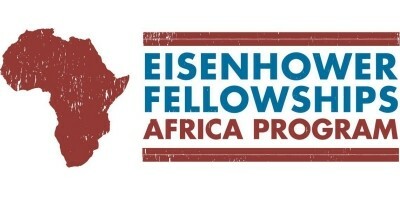 The Eisenhower Fellowships program identifies, empowers, and connects innovative leaders through a transformative fellowship experience and lifelong engagement in a global network of dynamic change agents committed to creating a world more peaceful, prosperous, and just. Upon hearing of the program, Yilmaz Arguden (cohort '80) commented, "As an alumni of both institutions, I am delighted for the news about this partnership. I think that it will be a particularly fruitful relationship."